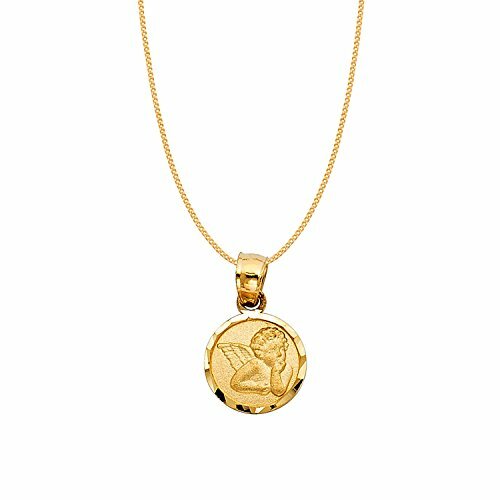 This small cherubic guardian angel pendant is crafted of 14-karat yellow gold. The round-shaped medallion pendant features a satin and polished finish. The pendant is completed with a matching 14k yellow gold 0.9-mm curb chain in 18 inches length.